The showcase at Palazzo Strozzi will o er one the opportunity to explore his creative genius and narrative, allowing critical in- sight into the artist’s ambiguous relations with China. The most important characteristics of his art are the denunciation of the inconsistencies and gaps between the individual, and the communi- ty and a strong sense of rebellion against any form of authority. from Sept. 23 to Jan. 22, 2017. A dissident artist with a leading voice, Ai Weiwei is known world- wide as much for his challenging contemporary art practice as for his political activism. Over the past twenty years, he has become a leading voice on the international art scene and China’s most famous living artist. mental installations, sculptures, objects, videos and photographs ranging from his years living in New York – the 1980s and ’90s, when he discovered his ‘masters’ Andy Warhol and Marcel Du- champ – to the large iconic works from the early 2000s consisting of objects such as bicycles and stools, to his recent, controversial and en- gaged works such as the portraits of political dissidents built with Lego bricks and his projects on mi- gration in the Mediterranean. 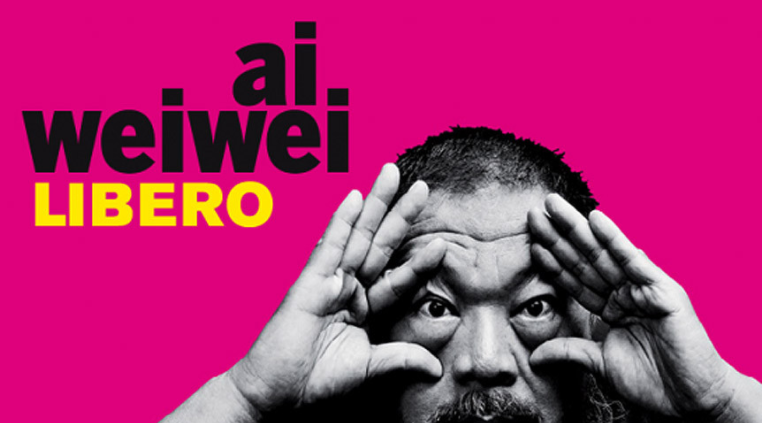 Known for his political activism and meticulous artistic research, Ai Weiwei has become a symbol of resistance against censorship.